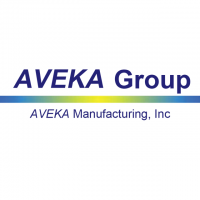 The AVEKA Group is a contract manufacturing and research & development company that focuses on particle technology. Whether you require basic spray drying, a specialty particle coating or a highly engineered microcapsule, we have technologies, processes, and manufacturing capabilities to provide solutions. Serving a wide variety of applications and markets including specialty chemicals, industrial materials, food and nutraceuticals, pet food, agriculture, microelectronics, personal care, medical and pharmaceutical, since 1994.